Given the high intensity of basketball and the huge sums of money at stake, it is easy to why most athletes can seem a little humourless. It is not that they don’t like a laugh but when they are on the court, they need to be in the zone. Away from the court and the training sessions, a lot of basketball players like to kick back and relax. In fact, away from the court, some basketball players are the biggest kids you will ever find, and that means in height as well as their antics. However, when it’s game time, it’s understandable that players will be focused on winning points and shutting out their opponents. This is where the actions of a player going against the grain always manages to stand out. 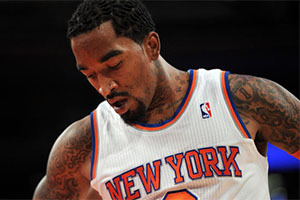 JR Smith of the New York Knicks has found himself in the news of late for a couple of stunts revolving around the shoelaces of his opponents. The first time this came to the fore was when Smith was waiting for Dirk Nowitzki of the Dallas Mavericks to take care of business from the foul line. Smith found himself lining up alongside Shawn Marion and the Knicks player took a breather and looked as though he was about to check his own shoelaces. 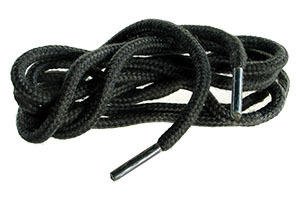 With a swift hand, he reached out for Marion’s shoelace and untied it there and then. Marion appeared to catch Smith in the act of untying the lace but with the game about to come back to life, there was no time for Marion to react. In the end, Smith got the last laugh with a 92-90 win for New York but there was to be repercussions after the game for the Knicks player. Smith was warned by the NBA that he was not to repeat his actions and of course, you would think that the majority of players would take the hint here. When there are so many games coming thick and fast in the NBA, you don’t want to develop a bad reputation and you don’t want to see yourself becoming a marked man. A sensible player would have let the heat die down by Smith was having none of it. On Tuesday night, during the 98-85 win for the Knicks over Detroit, Smith unbelievably did it again. Well, at least he tried to. During the game he attempted to untie the shoelace of Greg Monroe of the Pistons, a move which had even the biggest fans of childish behaviour scratching their head as to why Smith would so such a thing. The player has taken to Twitter to apologise to the fans, the league and his team on Wednesday but this didn’t stop the NBA fining Smith £50,000 for “recurring instances of unsportsmanlike conduct.” That may seem harsh to some fans but without that sort of fine, Smith may have continued doing it game after game, taking the focus away from basketball and no doubt annoying a lot of his peers and rivals. Smith may have thought that was the end of it but it seemed as though the Knicks were not happy to let the NBA fine be the be all and end all of the punishment for the player. 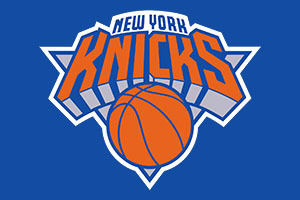 The Knicks welcomed Miami heat to the Garden on Thursday night and they sent them packing with a score line of 102-92. The thing is though; they achieved this score line without Smith, who never got onto the court during the game. This angered Smith who made a number of comments after the game about his disillusion with the decision and over the fact that he alleges he didn’t know he was going to be benched for the game. The club have said that this was not the case and the decision to not play Smith was discussed with the player. This disagreement means that we may not have heard the last of this matter. When you have a team manager coming out and publically stating that a player has “to grow up”, it’s pretty serious. Sports management has a big eye on psychology and there are so many things said in the locker room that is never uttered to the press and media. The fact that Smith was hung out to dry in this fashion in public indicates that coach Mike Woodson was rather annoyed with the player. In the end, Smith was reduced to the role of cheerleader on Thursday night with actress Katie Holmes getting more air time on the TV coverage than Smith did. Whether the past week has a long-term effect on Smith’s career or his future with the Knicks remains to be seen. You would however like to think he has learned his lesson regarding shoelaces.